Hewlett Packard Enterprise (HPE) today announced an expansion to its ProLiant Gen10 portfolio with the new single-processor HPE ProLiant DL325 Gen10 server, based on the AMD EPYC processors, providing dual-processor performance at single-processor economics. The HPE ProLiant DL325 delivers more performance than a leading competitor with two processors at a lower price, resulting in 25 percent better price performance. With today’s application and data demands, and single-processor servers having traditionally shipped with low-performance processors, limited memory and I/O, organizations have been forced to purchase a dual-processor server to achieve necessary levels of performance. Achieve enterprise class process, memory and I/O performance, and security without paying for a dual-processor server. 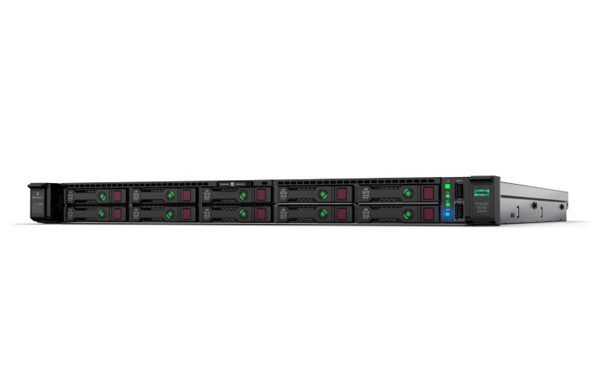 The HPE ProLiant DL325 delivers up to a 27 percent lower cost per virtual machine (VM) than the leading dual-processor competitor for virtualization, and sets the bar for single-processor virtualization performance.² In addition, with HPE OneView, customers can dramatically speed up many system management tasks, including the deployment of new virtual machines.